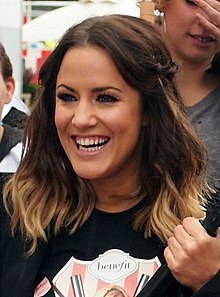 Caroline Louise Flack (born 9 November 1979) is an English television and radio presenter, actress and model. She began her career starring in Bo' Selecta! in 2002 and has presented various ITV2 spin-off shows such as I'm a Celebrity...Get Me Out of Here! NOW! from 2009 until 2010 and The Xtra Factor from 2011 until 2013, the latter with Olly Murs (2011–2012) and Matt Richardson (2013). Bo' Selecta! is a British 'adult' television sketch show written and performed by Leigh Francis that lampoons popular culture and is known for its often surreal, abstract toilet humour. The Xtra Factor Live was a companion show to the British television music competition The X Factor. It was broadcast on ITV2 and on TV3 in the Republic of Ireland, on Saturday and Sunday nights after the main ITV show from 4 September 2004 to 11 December 2016. It featured behind-the-scenes footage of The X Factor and shows the emotional responses of the contestants after the judges comment on their performances. Strictly Come Dancing returned for its twelfth series beginning from 7 September 2014 with a launch show, with the live shows starting on 26 and 27 September. Tess Daly returned to present the main show on BBC One alongside Claudia Winkleman, who has been promoted to co-presenter in addition to the results show after Sir Bruce Forsyth decided to leave the show after the eleventh series; however, Forsyth continued to host the Christmas and Children in Need specials. Zoë Ball returned as presenter of spin-off show Strictly Come Dancing: It Takes Two on BBC Two. Judges Len Goodman, Bruno Tonioli, Craig Revel Horwood and Darcey Bussell also returned. Love Island is a British dating reality show. It is a revival of the earlier series of the same name, which aired for two series in 2005 and 2006 on ITV. The series is presented by Caroline Flack, and is narrated by Iain Stirling. The series launched on 7 June 2015 live on ITV2. Unlike the original series, the contestants are members of the public rather than celebrities. The X Factor is a British reality television music competition to find new singing talent. The contestants are aspiring singers drawn from public auditions. Created by Simon Cowell, the show began in 2004 and has since aired annually from August/September until December. The show is produced by Fremantle's Thames and Cowell's production company Syco Entertainment. It is broadcast on the ITV network in the UK and simulcast on Virgin Media One in Ireland. "X Factor" refers to the undefinable "something" that makes for star quality. The series consists of auditions, bootcamp, judges' houses, several weeks of live shows, semi-finals and the final. The series had a spin-off behind-the-scenes show called The Xtra Factor, which aired directly after the main show on ITV2. This lasted for the first thirteen series, when it was cancelled by ITV in January 2017. It is replaced by an online spin-off show Xtra Bites exclusively on the ITV Hub. The first three series were presented by Kate Thornton, then from series four to eleven, the show was presented by Dermot O'Leary. Series 12 was presented by Caroline Flack and Olly Murs with O'Leary returning for series 13 onwards. Great Hockham is a village in the English county of Norfolk within the civil parish of Hockham, though the distinction between village and parish may now be moot as there is evidence to suggest that the other village in the parish, Little Hockham, consists only of a farmhouse. Wayland Academy is a mixed secondary school located in Watton in the English county of Norfolk. E4 is a British free-to-air television channel owned by Channel Four Television Corporation. The "E" stands for entertainment, and the channel is mainly aimed at the 16–34 age group. Programming includes US imports such as Brooklyn Nine-Nine, The Goldbergs, The O.C., Smallville, Veronica Mars, Everwood, What About Brian, Desperate Housewives, How I Met Your Mother, 90210, Gotham, Rules of Engagement, The Big Bang Theory, RuPaul's Drag Race, 2 Broke Girls, Scream Queens, Revenge, and previously Friends. Other programming includes homegrown British shows such as Skins, Misfits, The Inbetweeners, Shameless,Hollyoaks, Coach Trip, Celebs Go Dating, Made in Chelsea, and upcoming series Mae & George. The Eurovision Song Contest 2008 was the 53rd edition of the annual Eurovision Song Contest. It took place in Belgrade, Serbia, following Marija Šerifović's win at the 2007 Contest in Helsinki, Finland with the song "Molitva". This year was the first time there were three contests; two semi-finals which were held on 20 and 22 May, and the traditional grand final which was held on 24 May 2008. The shows were hosted by Jovana Janković and Željko Joksimović at the Belgrade Arena which had a total capacity of 25,000 seats. The host broadcaster was RTS. Paddy O'Connell is a British television and radio presenter, working mainly for the BBC. Kirsty Jane Gallacher is a British television presenter. 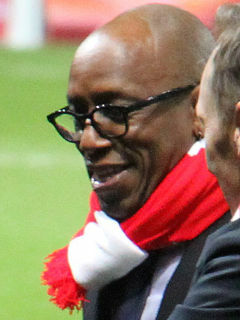 Ian Edward Wright, is an English former professional footballer and television and radio personality. He is currently a studio pundit for BBC Sport, ITV Sport and BT Sport. Amanda Hamilton is a Scottish businesswoman, broadcaster, and writer in the areas of food, health and nutrition. Flack co-presented game show The Whole 19 Yards with Vernon Kay on ITV in 2010. She also modelled for the lads' mag Maxim . On 16 February 2010, she presented backstage at the 2010 BRIT Awards on ITV2. In May 2011, it was announced that Flack and Olly Murs would co-present the eighth series of The Xtra Factor , replacing Konnie Huq. Flack and Murs both returned for the ninth series. Flack returned for the tenth series in 2013, while Murs was replaced by Matt Richardson. In October 2013, it was announced that Flack would present The X Factor backstage during the live shows on Saturdays. On 12 June 2014, it was confirmed that Flack would not return for series 11  and was replaced by Sarah-Jane Crawford. In 2014, Flack hosted the ITV2 show Viral Tap . In December 2014, she reunited with Murs to host a Christmas Day and New Year's Eve programme on British radio station Magic. She began presenting Love Island in June 2015 and its spin-off show Love Island: Aftersun when the third series aired from June 2017. On 24 August 2015, Flack announced on her Twitter account that she would release an autobiography titled "Storm In A C Cup" on 22 October 2015. On 18 December 2015, Flack was part of the presenting team for ITV's Christmas telethon Text Santa . Yvette Paula Fielding is an English television presenter, producer and actress. She became the youngest presenter on Blue Peter aged 18, and one of her episodes was subsequently voted the "Favourite Blue Peter moment" ever. With her husband Karl Beattie, she presented the Most Haunted series on the Living channel, via their own production company, followed by Ghosthunting With..., establishing Fielding as ‘first lady of the paranormal’. She has appeared in a wide range of other programmes, from The Wright Stuff to Through the Keyhole and I'm A Celebrity... Get Me Out Of Here!. Sean Dermot Fintan O'Leary Jr., better known as Dermot O'Leary, is a British-Irish television presenter for ITV and a radio presenter for BBC Radio 2. Joseph Swash is an English presenter and actor, best known for his role of Mickey Miller in the BBC One soap opera EastEnders and various presenting roles with ITV2. Reginald "Reggie" Yates is a British actor, television presenter and radio DJ, best known from his roles as Rastamouse, Leo Jones in Doctor Who, and for his work at the BBC in radio and television – presenting various shows for BBC Radio 1 with Fearne Cotton – as well as hosting the ITV2 reality show Release the Hounds from 2013 until 2017. Holly Marie Willoughby is an English television presenter, model and brand ambassador. She is currently the co-presenter of This Morning (2009–present) and Dancing on Ice alongside Phillip Schofield. Benjamin Peter Sherrington Shephard is an English television presenter and journalist who is currently employed by ITV and Sky Sports. His most recognised role was as a main presenter on the now defunct breakfast programme GMTV. He has hosted game shows such as The Krypton Factor (2009–2010), Tipping Point (2012–present) and Ninja Warrior UK (2015–present). In 2012 along with co-welcomer Helen Skelton he welcomed home the athletes of the London 2012 Olympic and Paralympic Games to Trafalgar Square as part of the athletes homecoming parade. ‘ Since April 2014, Shephard has co-hosted the ITV breakfast show Good Morning Britain, alongside Susanna Reid and Kate Garraway. Caroline Feraday is an English television and radio broadcaster currently living and working in Los Angeles. Sarah-Jane Crawford is an English television and radio presenter, actress, voice-over artist, and DJ best known for her radio work with Hits Radio and formally with BBC Radio 1Xtra, and television work with E! Network, ITV2 on The Xtra Factor, BBC and Channel 4. Crawford has also presented and appeared a number of shows for the Disney Channel and MTV. Crawford has been a vegan since 2015 and is releasing a vegan app called Viappi in November 2017. Laura Whitmore is an Irish television presenter and model based in London, who has worked for MTV Europe, RTÉ, and is also known for presenting I'm a Celebrity...Get Me Out of Here! NOW! from 2011 until 2015. Melvin Odoom is a British-Ghanaian comedian, radio DJ and television presenter. Stacey Chanelle Charlene Solomon is an English singer and television personality. She rose to fame on the sixth series of The X Factor, coming third overall on the show. She gained a number one single on both the UK Singles Chart and the Irish Singles Chart when her fellow The X Factor finalists released a cover of "You Are Not Alone". Ross Richard Clark-Neal, known professionally as Rylan, is an English presenter, television personality, narrator and model. He finished in fifth place on the ninth series of The X Factor in 2012, and won Celebrity Big Brother 11 in January 2013. Matthew Jeffrey "Matt" Richardson is an English comedian and broadcaster, best known as a co-presenter on the ITV2 spin-off show The Xtra Factor with Caroline Flack in 2013. The X Factor is a British television music competition to find new singing talent. The eleventh series began airing on ITV on 30 August 2014 and finished on 14 December 2014. Dermot O'Leary presented his eighth series of the main show on ITV and Sarah-Jane Crawford presented spin-off show The Xtra Factor on ITV2, replacing Caroline Flack and Matt Richardson. Louis Walsh was the only judge from series 10 to return and was joined by former judges Cheryl Fernandez-Versini, Simon Cowell, and new judge Mel B. Sharon Osbourne, Gary Barlow and Nicole Scherzinger left after series 10. Former judge Tulisa returned as a guest judge for the final on 13 December due to Mel B being ill. The series also saw the lower age limit decreased from 16 to 14, as it was in series 4 and 5. This was Walsh's final series as a judge before returning in series 13. It was also the only series in which Mel B was a main judge. It was O'Leary's final series as presenter on the main show, as he announced on 27 March 2015 that he was leaving to pursue other projects, before returning in series 13. On 11 May, Crawford also confirmed via Twitter that she would leave her position as The Xtra Factor presenter. The X Factor is a British television music competition to find new singing talent. The twelfth series began airing on ITV on 29 August 2015 and ended on 13 December 2015. The judges were Simon Cowell, Cheryl Fernandez-Versini, who returned for their respective ninth and fifth series as judges, series 9 guest judge and former The Voice UK coach Rita Ora, and BBC Radio 1 DJ Nick Grimshaw, with Grimshaw and Ora replacing Louis Walsh, the only judge who had been on the show from its inception in 2004, and Mel B. It was presented by Caroline Flack and Olly Murs, who had both previously co-presented spin-off show The Xtra Factor on ITV2 and replaced Dermot O'Leary, who left after eight series. Rochelle Humes and Melvin Odoom presented The Xtra Factor, replacing Sarah-Jane Crawford. Louisa Johnson was announced as the winner on 13 December 2015, making Ora the winning mentor. I'm a Celebrity: Extra Camp is a companion show, broadcast on ITV2 in the UK and on UTV Ireland in the Republic of Ireland. It features behind-the-scenes footage of I'm a Celebrity...Get Me Out of Here! and shows the emotional responses of the contestants after they have been voted off. ↑ "Caroline Flack". FHM . Archived from the original on 10 November 2011. Retrieved 17 November 2011. ↑ "Caroline Flack admits it was 'quite strange' dating 17-year-old Harry Styles but will never apologise – Mirror Online". Mirror.co.uk. 24 May 2015. Retrieved 2 December 2016. ↑ "Caroline Flack – She's not your typical childrens' [sic] television presenter". Daily Mail. London. 20 November 2007. ↑ Coan, Lee (30 November 2007). "Caroline Flack – She's not your typical children's television presenter". Mail on Sunday . Retrieved 7 June 2008. ↑ "Escape from Scorpion Island". BBC. Retrieved 7 June 2008. ↑ "Caroline Flack – Fame Academy". BBC. Retrieved 7 June 2008. ↑ "Eurovision 2008". BBC. Archived from the original on 13 May 2008. Retrieved 4 June 2012. ↑ "Big Brother blogger on Big Brother's Big Mouth". The Mirror. Archived from the original on 17 July 2008. Retrieved 13 July 2008. ↑ "Latest News – New Presenter: Caroline Flack – Gladiators". Gladiatorszone.co.uk. 3 November 2008. Retrieved 10 August 2014. ↑ "Flack Flies to the Jungle". The Sun. London. 19 August 2009. ↑ Fletcher, Alex (12 March 2010). "Flack, O'Shea win 'Dancing on Wheels'". ↑ "Wheelchair Dancing European Championships results table" (PDF). Archived from the original (PDF) on 26 June 2010. ↑ "Caroline Flack: I'm A Celebrity, Get Me Out Of These Clothes!". Maxim. Retrieved 17 April 2010. ↑ "The Sun". The Sun. Retrieved 13 October 2018. ↑ "Twitter / TheXFactor: @carolineflack1 and Olly Murs". Twitter.com. 31 May 2011. Retrieved 10 August 2014. ↑ Bull, Sarah (29 May 2013). "Xtra Factor 2013: Caroline Flack returns to hosting role... but Olly Murs is replaced by comedian Matt Richardson". Mail Online. Retrieved 10 August 2014. ↑ "'She's certainly being lined up as the next big, female presenter': Caroline Flack to co-host X Factor's live shows with Dermot O'Leary from next week". Daily Mail. London. 6 October 2013. ↑ "'X Factor': Caroline Flack Replaced On Spin-Off Show 'The Xtra Factor' By Radio 1Xtra DJ, Sarah Jane Crawford". Huffington Post. Retrieved 10 August 2014. ↑ "Viral Tap. Could you be the next viral superstar?". Itv.com. Retrieved 13 October 2018. ↑ Harp, Justin (16 April 2015). "The X Factor: Olly Murs and Caroline Flack to host – it's official". Digitalspy.co.uk. Retrieved 30 January 2016. ↑ "Caroline Flack follows Olly Murs and quits The X Factor". Digitalspy.com. 22 February 2016. Retrieved 13 October 2018. ↑ Mulhall, Al (5 May 2016). "Caroline Flack and Gethin Jones team up for new radio show". Digitalspy.com. Retrieved 2 December 2016. ↑ "BBC Blogs – Strictly Come Dancing – Caroline Flack wins Strictly". Bbc.co.uk. Retrieved 30 January 2016. ↑ "Weapons of Mass Distraction – TV Show, Episode Guide & Schedule". Locatetv.com. Archived from the original on 3 February 2016. Retrieved 30 January 2016. ↑ "Who Wants To Be A Millionaire? Episode 1". Itv.com. 22 June 2013. Retrieved 2 December 2016. ↑ "FHM 100 Sexiest 2015". Fhm.com. Retrieved 2 December 2016. ↑ Nisbet, Megan (10 July 2018). "Is this the real reason Caroline Flack and Andrew Brady split?". Ok.co.uk. Retrieved 13 October 2018.